I've always wanted to chase a tornado, not in the sense that you'll likely to see me running through a field in hot pursuit of a funnel, but more so in the sense that I'd simply love to witness one from up close. This opportunity has now arrived. I'm now about to fly to Dallas where at 11am tomorrow I will meet my storm chase group. 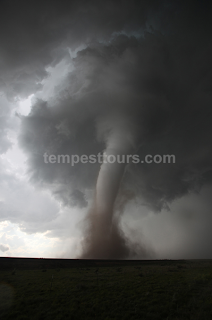 Highly regarded in this edgy profession of storm chasing, Tempest Storm Chasing Expeditions is about to set off on a 10-day adventure which will take us through the infamous stretch of land simply known to Americans as "Tornado Alley". By 'stretch of land" I refer to a cluster of states central to America that pretty much spans the entire length of the country. It's huge. From March through to June every year, weather conditions in this area change so much that for this brief 4 month period, extreme weather patterns are frightfully common. I'll admit right now that I don't know the specific reasons for this just yet but my baptism of fire begins tomorrow and with this I'll begin to learn more. At this stage, the only thing I've been told is to be ready for anything. Of course the prospect of the unknown is something that I love but on this occasion there's another aspect that makes this challenge even more exciting; simply letting go. Ultimately we will be at the mercy of the weather. We cannot change or influence what will happen when it comes to supercells and tornados and in this sense we'll be letting go of something that as people we so desperately try to maintain; control. I have a theory that it's at these moments, when you have no ability to predict or change your situation, that you truly see how the world works. Without the safety-net of control, we have no other option than to 'ride the wave' so to speak and by doing so we open ourselves up to new experiences far greater than our own capacity would otherwise allow. It's by letting go that I actually feel more in control. That's why I can;t wait for tomorrow. For the next 10 days I'll be updating this page as well as the 100things Facebook and Twitter pages with a daily diary that will follows what promises to be one of the most intense experiences I've ever had. On that note I'd like to pass on condolences to all those who have already been affected by the severity of the past fortnights tornado occurrences in the southern parts of the USA. Ironically it's usually the prospect of a blazing sun surrounded by blue skies that shape people holiday destinations but for the next 10 days we'll be trying to find driving hail, black clouds and extreme wind. Thank God we're not traveling by tandem bike. The forecast is apparently very good… or bad; depends on how you look at it. Having ridden our tandem bike Tinkabella into Vegas, I can't help but feel slightly lazy at the moment as I ready myself to catch a plane out of this vibrant city. Just quietly though my legs and back side are ecstatic! A week was certainly enough time to wind down after such an epic journey and by doing so Dave and I were lucky enough to be part of the PIS annual conference where we successfully gave a speech to a colorful group of Australian finance industry wizards (I'm not sure if that's their official title). Admittedly loving an opportunity to dress up in costume, this years 'Wild West' theme was enough to transform a conference room of 700 business minded people into an energetic room of cowboys and indians. Dave and I had a ball and again would love to thanks PIS for their amazing hospitality and support for us. "A severe thunderstorm warning has been issued. Take cover and stay inside. Heavy rain and 2-inch hail is predicted. High winds of up to 70 mph are happening now. Beware for supercells and stay away from your windows. If you have underground shelter, please use it." At 11am this morning, I sat down in a room of strangers all of whom had made their way to Dallas for the very same reason that I had; they wanted to chase tornados. 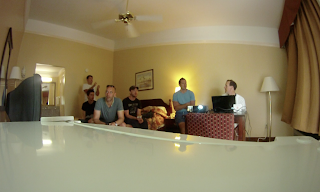 A small conference room in a local hotel in town was our rendezvous point and once there we'd meet each other before then being briefed on our imminent 10-day tornado chase. "The next 3 days are looking optimal for tornadic activities. You guys are lucky!" Now I'll be the first to admit that I'd never heard of the term 'tornadic' before, but that didn't matter; today everything was exciting me. 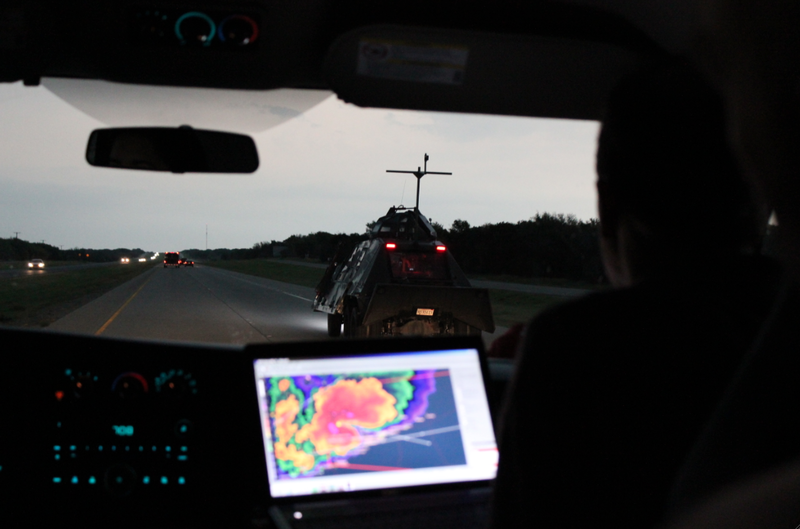 After being meeting the other chasers in our group, we were then introduced to our chase-vehicle; a massive white van that we've un-creatively nicknamed the Tornado Magnet. 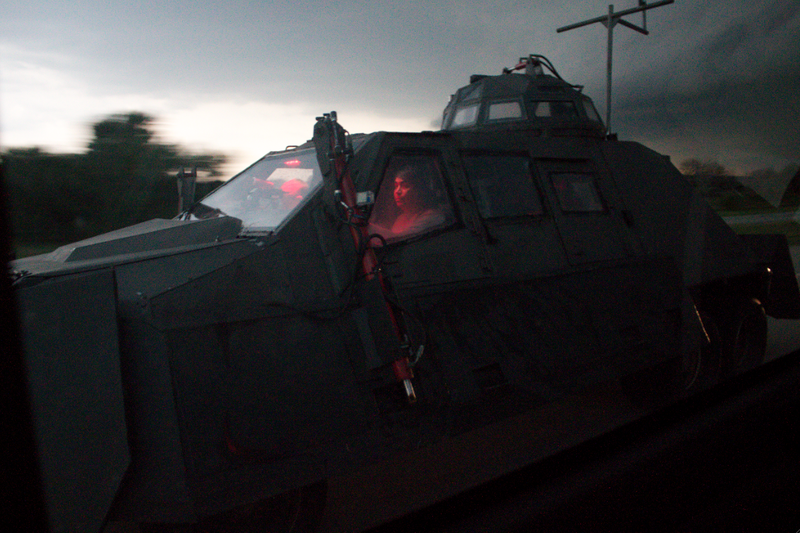 This is the vehicle that will take us all over Tornado Alley. Within the Tornado Magnet are a series of computer screens all linked directly to the latest meteorological software. These are used to gather as much information as possible whilst on the road to enable us to plot directions and make plans for each hour. They take into account pretty much every variable possible and record all weather related changes in the area. Combined with Bob's IQ, it's safe to say that we have been given the best chances to find tornados. 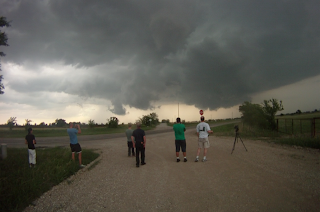 When it comes to storm chasing, it's ideal to stay ahead of the storm. This takes foresight and of course Bob's knowledge. Today this meant that we had to track our storm on it's south-eastern side as it moved east through Texas. Avoiding hail and heavy downpours, we'd stop every so often and step out of the car to take a visual gauge on it's development. I've never looked so intensely at the sky as it literally changed and developed in front of us like some kind of fast evolving organism. Black clouds plumed upwards as updrafts and increasing wind speeds did their things. It's a spectacle. With an heir of doom looming ominously above us, every change in cloud shape made my heart beat. Was it a tornado? The answer, on this occasion, was no. 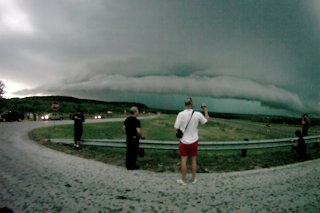 We were instead witnessing a rotating wall-cloud which given the fact that this was day 1 of our tour was just amazing. 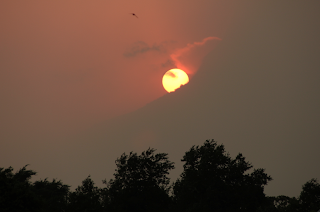 Picture a large set of clouds, being influenced by the wind such that they begin to circle up above; true rotation. Even though Bob suggested that the conditions weren't entirely conducive to tornado activity, I still peered to the sky as if my name was Dorothy and I was wearing shiny red shoes. It was mind-blowing. This though was just one of two highlights that occurred at the end of the day. The second was witnessing a funnel form high in the sky and weave its way slowly towards the ground. The process was sadly as fleeting as it was unbelievable and after what couldn't have been more than 6 seconds, the funnel disappeared into think air before it had touched the ground. Timing here is everything. As the day pushed on and the ambient light began to disappear, thunder and lighting took centre stage over all else and like I said we're now hiding under a bridge as a ravenous wind rocks our vehicle. The first day of our trip has been epic. For now I better go, we just had a huge lightning strike less than a mile away and we have to move. Please don't worry; Bob the wizard tells us everything will be OK.
As I look at the severe weather warning map that sits in front of me on the van's computer screen, I can see that currently we're positioned in between two storm formations. Ideally, we'd be sitting just off the south east edge of either one of these but unfortunately today has been a day of indecisiveness. It seems that we've missed the boat, so to speak. Yesterday, for example, we were able to track along side a large strom system that was moving East across the state of Texas. 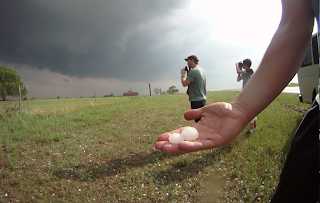 As we followed it, we watched it evolve from virtually nothing into what ended up being a substantial supercell. It was incredible. Today however we were caught napping. After lunch, we noticed two potential fronts beginning to form, one to our east and one to our west. With Bob the Wizard at the helm, we decided that we'd sit tight in the middle to see which one took shape first. To kill time we played frisbee for over an hour. By the time we'd all decided that we'd got enough exercise, the storm to our east had taken some great shape and as such, we jumped inside the van and sped off down the road with 80 miles to cover. The plan was loop around the southern edge of the front in order to allow us the best position to move towards the potential tornado sites. Sure enough as we drove, the van radar began to pick up some tornado sightings in our target area. WIth in the hour the sightings had grown to six! This was exciting of course but Bob's face told another story; we were too late. The tornadic activity he told us would only be brief. Of course, he was right and by the time we had reached our destination, the the tornado warnings as well as the sightings had all but disappeared. Apparently a huge weather system had come in and blown out any chance of recurring tornados for the day. A stop on the side of the road allowed us a moment to re-group and for Bob to get a breath of fresh air; he was frustrated. 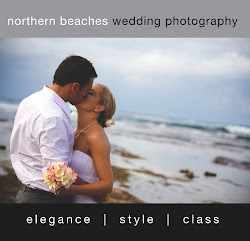 Bob is very passionate about what he does and this is what makes it such a pleasure to chase with him. 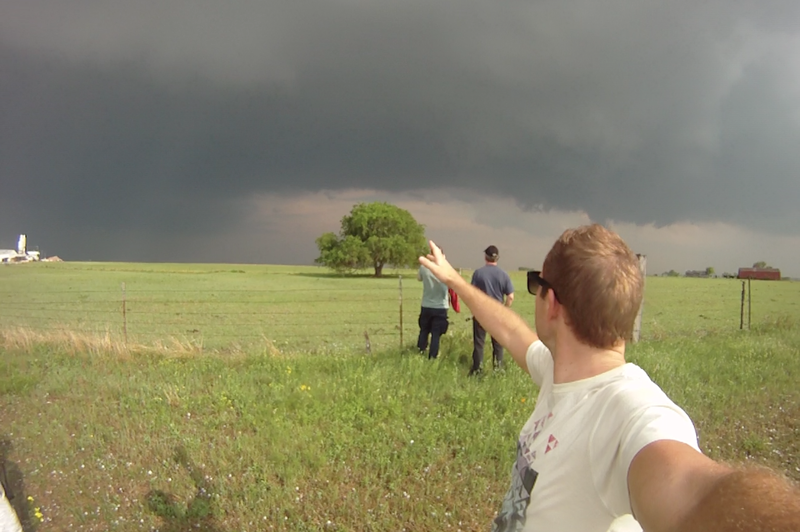 We joked earlier in fact that Bob not only chases tornadoes, but actually caches them! Rumour has it he keeps his favorite ones in a small shed in his backyard. We of course aren't the only ones feeling mildly frustrated today; as we drive through out the day, our GPS system allows us to see all the other storm chasers on the road. It's always interesting to see what other groups are doing and where exactly they're heading and it's not uncommon to drive past the same marked chase vans multiple times in a day. 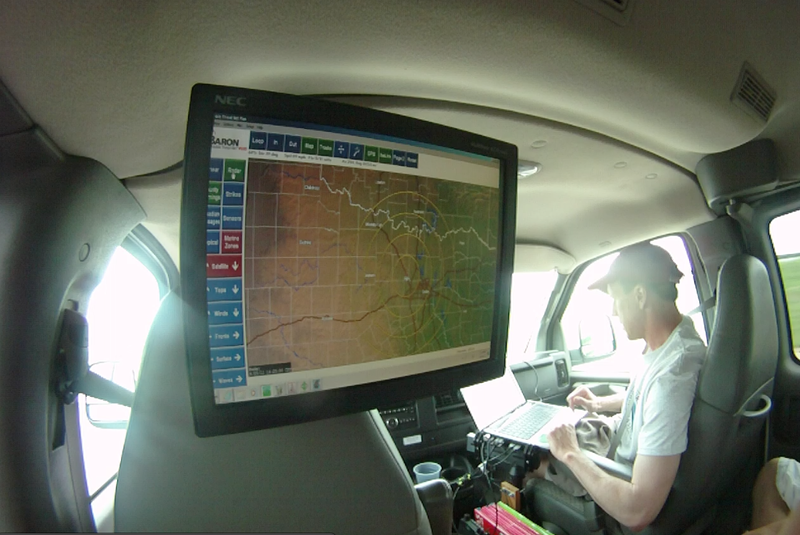 Today we were driving in circles with the well known Tornado Intercept Vehicle (T.I.V) featured on the Storm Chasers (Discovery Channel). Missing opportunities is just another interesting facet to this extreme pursuit. Having had no real success for the day, it's now a case of either calling it quits for the day by pushing north east towards Arkansas or trying to salvage a late evening sighting somewhere beneath a dark green supercell that is teasing us to just to our north. It's now 6.30pm and it's getting dark. We've opted for the latter and as result we're still staring out of the window as we strive to reach the edge of this impressive storm front before dark. I'll let you know how we go. 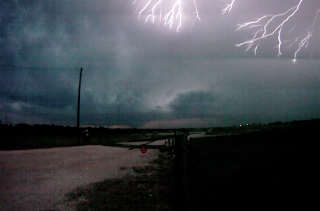 If you're interested in a very quick vid outlining yesterday's first chase, enjoy the video below! "Sure. If you see any airborne cows, that's a dead giveaway!" 100thing… What's on your list? And just like that, we had eye-balled our first tornado. This thing was huge and excitement filled the van as we all peered intently through the windscreen. The only problem was that we were still 20 miles away and as such it's definition was limited. 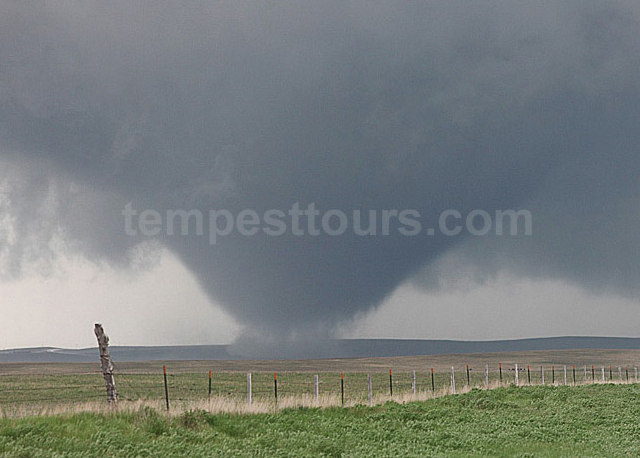 Marcia labelled it as a stovepipe tornado, meaning that its width is consistent from top to bottom, and the fact that we could still see it clearly meant that this thing was a monster. We're still waiting for confirmation on it's power from those nearer to it. 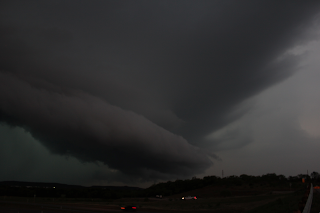 With the theory being that we needed to stay on the south eastern side of it's leading edge, the next few hours of driving saw us trying to outrun the advancing cell as we navigated through small country towns and secondary roads that zig-zagged awkwardly south of Dallas. Armed with luck and the enthusiastic Tempest Storm Chase staff, we soon pulled up next to a quiet cornfield perched on top of a hill. From here we got out and were able to witness the slow moving cell catch up to us. Perfect! As the dark black front crept closer and closer, a warm wind began to rush towards it in an updraft and as it did, the lead clouds began to rotate. Bob was excited and with all the variables suggesting a tornado was imminent, we all just stood staring up the sky. Within minutes the swirling mass of clouds that only minutes ago had been miles away began to converge above the very same field that we were stood next to. Black clouds changed to green and then as if God's finger was pointing down at us, a funnel cloud slowly formed and extended down towards us. It was the most phenomenal experience with nature I've ever had. 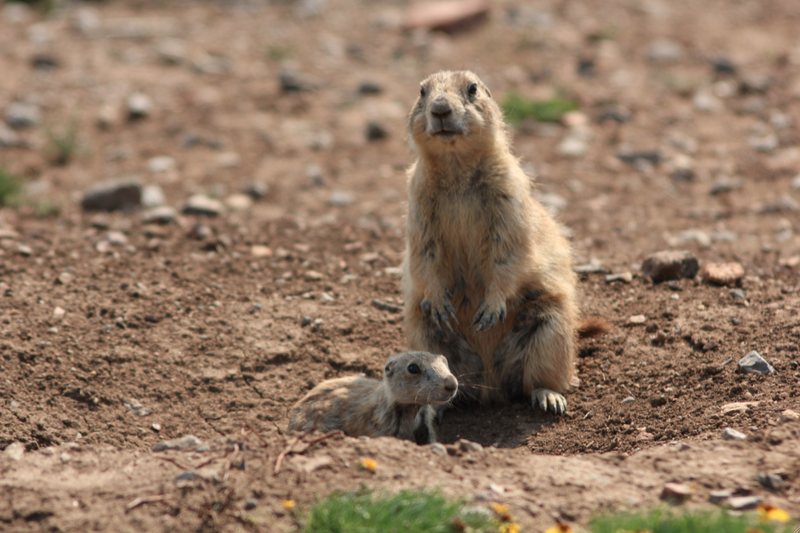 With no-one else around, our team just stood there and watched in astonishment. The remainder of the day was spent chasing the cell in the hope that we could take the next step and see another tornado but in the nature of what we're doing, we just missed out. It's hit and miss on an hourly basis. On a personal note, I'd have to say that with just 3 days having passed in what is a 10-day trip, I'm hooked. Each decision made is influenced by a fusion of science and the sixth sense and as such we live and die by the sword. Like life, highs and lows come part and parcel with the chase and it's crucial to be able to adapt to a changing environment. It's an awesome learning curve and something I'm lucky to be able to share with a bunch of great people in Danny, Nick, Tristan, Pat and Parker. For a day that promised so much, I have to admit that it was probably the least exciting so far. We saw nothing. The radar heralded tornado warning after tornado warning all across the northern side of Texas but for reasons that I'm beginning to learn are out of our control, we found it hard nailing the right spots. Understanding is the key I think to getting through a day like today and although i'd have to admit that morale is slightly low right now due to the lack of tornado action, we do understand that we are dealing with something that we can't control. In fact I'd have to say that our group is one that I feel lucky to be chasing with; everyone gets on! Not only that but there's a genuine belief that we're edging closer to a what we think will be a fantastic tornado encounter in the next week. 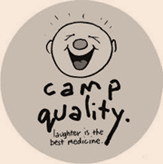 That's what keeps us joking around, an underlying optimism. On the subject of joking around, today for example, we learnt that Danny (a weather fanatic from England) can make a 'fart' sound with his hands by clasping them together and squeezing tightly. Even better than this, Bob our tour guide can make a similar fart sound but by placing his hands to his mouth and blowing. He can prolong the sound for almost a minute. His lung capacity is incredible. It's amazing what will keep a group of men entertained. Being only day 4 of course, I am slightly worried how this childish behavior will develop as the trip continues. A late planning session tonight has culminated in us making the decision to use the next two days to drive up towards Nebraska. Sadly the next 2 days are looking fairly quiet on the weather front and so it's now about positioning ourselves best for what promises to be an active day on Friday up north. It's not like we wanted a rest today but due to a lack of tonadic activity our area, we had no other option. As such I write this from the middle of Dallas where as I stare out of the window I can see the sun shining brightly. 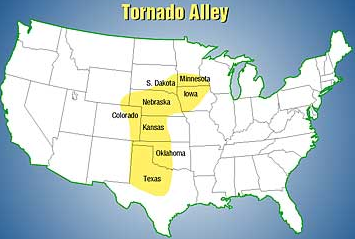 It's no secret that their's a lot of tornado activity inn the US at the moment, but Tornado Alley is a big place and as such we find ourselves about 500 miles away from Mississippi where all the action is at the moment. As it is, Bob the Wizard has his eyes set on a storm system which he has identified to format on Saturday. This is exciting, but at the same time we're now looking at 2 or even 3 days off. At this stage we're looking at some exciting weather in Nebraska on Friday, or perhaps the Texas pan-handle on Saturday. Either way for now we're just killing time and that starts this evening as Bob takes us to watch the Texas Rangers play baseball against the Toronto Blue Jays. I know nothing about this game. On news channels throughout the world today, one story has risen above all others; America's south has been hit with a record amount of tornados! It's overwhelming. With this terrible news in mind, I have received many emails asking if I am OK. Let me say right now that I am; I'm fine. In fact if the truth be known I'm about 500 miles away from all the action. Allow me to explain. Today has been our second consecutive rest day and in what I'd describe as a confused and empty feeling, our entire chase group is finding it hard to sit here in Dallas and just watch the TV news from the comfort of our bedrooms. We should have been out there but unfortunately we sat on our hands for too long a few days ago. Three days ago our group had a decision to make; as part of us chasing tornados we had the option of heading east from Texas into the states of Alabama, Arkansas and Mississippi where a sweeping storm system was lurking, or heading in the opposite direction to chase a few smaller systems. We ended up taking the latter option and headed west. The result from this was that we missed out on all the action; we saw nothing. I won't lie; we were disappointed. This though we're now realizing is unimportant. At first I'll admit that our disappointment was hinged on the fact that we'd missed out seeing tornados up close and personal, but today as the news swept the world highlighting the catastrophic result of the storms, we're now disappointed for a completely other reason; we're not there to help in what is now an immense clean-up operation. Sometimes you only gain perspective on a situation when something as serious as death is mentioned and because of this, right now we're seeing that chasing a tornado is not the be all and end all of this trip. Just being part of this experience, regardless of outcome, is all that matters. At this stage we're still not sure what exactly we'll do from here but a meeting first thing in the morning will sort this out. As a chase group, our mistake on Day 3 not to follow the prevalent east-heading storm cell has meant that we've been left too far behind the action to be able to witness or help. As such for the last 3 days we've been told to stay resting in Texas. In this time we've seen a baseball game; seen an IMAX movie about tornados; and even trekked to the top of a mountain. In any other situation this would be cool but in light of what we all came here to do; chase tornados, it's a hard pill to swallow. I'm sure we'll laugh about it one day! "For safety in tornados, follow me!" This is where I write from and let me tell you that 3 days off in a row is enough to make you go mad. In between eating at service-stations and sleeping in the chase van, there isn't too much to do. 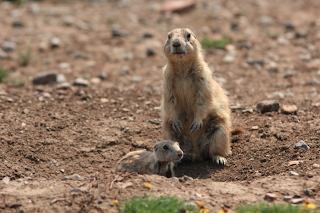 We were lucky enough today though to take in a few sights at Mount Scott including a couple of Prairie Dogs and even a friendly Bison. Every cloud has a silver lining. In what has now become a tour focused more on making the most of making the most of what we've been left with, I'd label today as successful. 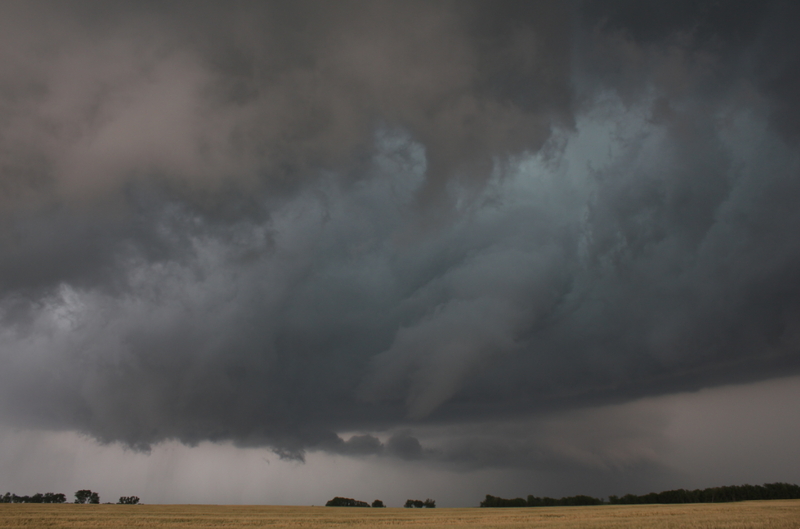 Swirling supercells, phenomenal funnel clouds and even a few screaming tornado sirens suggested that we were on the cusp of an up an close tornado experience but sadly it wasn't to be. Considering that we've been largely inactive for the past 5 days, today was a good reminder of what we came here to do and the mood of the van was again one of excitement by the day end. After 10 days of chasing, our group is now back at HQ relaxing. We've been on an interesting adventure to say the least and one that I think we'd all agree was different to what we first envisaged. When I started this journey, the biggest question was if we'd be lucky enough to see a tornado, but with the weather conspiring to produce some of the most intense storm conditions in 40 years, it quickly it became more of a question of how many tornados we'd see. The art of storm chasing is something that I never truly appreciated until now; it's a unique blend of science and human touch. Early morning satellite checks are compared to gut feelings and after much deliberation, a route for the next few days is decided upon. As such, storm chasers live and die by the sword; one decision on Day 1 can lead to days of perfect storm chasing or absolute frustration. Sadly for us, we were left with more of the latter and only some of the former. On Day 3 we made a mistake. This was hard to deal with. As simple as it was telling, our decision to travel west of Dallas last Tuesday morning, as opposed to east, was costly. As a result, we missed out on experiencing what has now been labelled as the most violent outbreak of tornados ever recorded. This happened in and around Alabama. 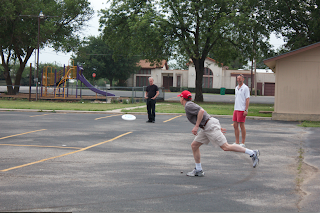 At the time, we were 2 states away in Texas and immediately our group became frustrated. Not only had we missed out on the very thing that we'd all come to see, but we were left in warm and sunny conditions with nothing to do but kill time. Did we see any tornados? Yes. 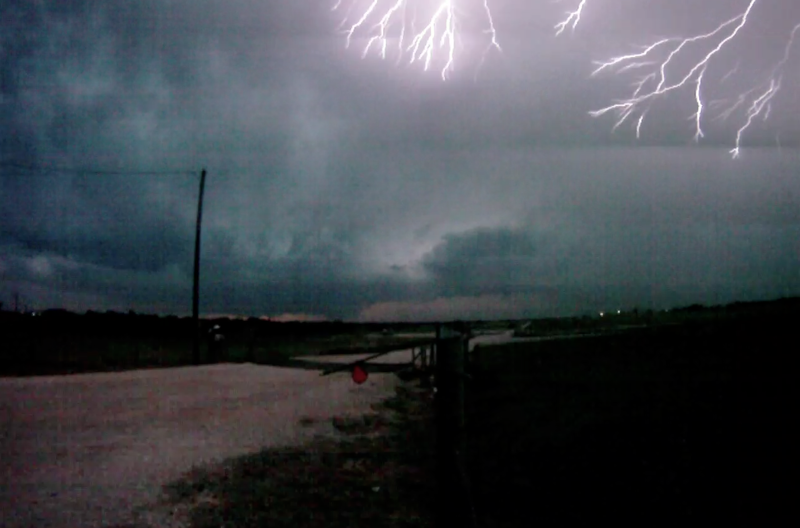 Did we witness incredible storm activity involving supercells, wall clouds, and funnels? Yes. Was it amazing? Certainly. For this 2-day period I'm stoked, but the feeling admittedly is still one of emptiness. Not so much for the fact that we blew the opportunity to witness a unique set of weather patterns previously never seen, but more so because from missing it we ultimately missed out on the opportunity to help in the aftermath of such destruction. If we had have been there, we would have stopped storm chasing and stayed in Alabama to help. We all wanted this. This sadly never happened. 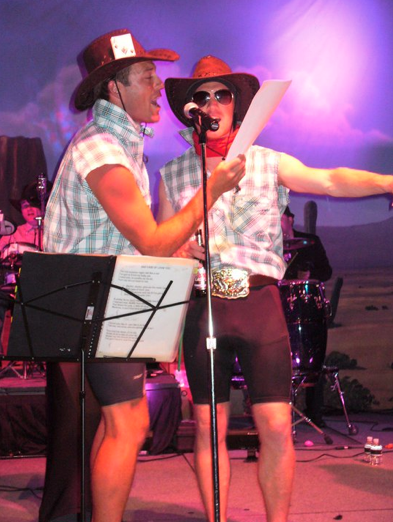 For reasons we're still trying to work out, we were kept in Texas and we never left. That's another discussion all together. Hindsight is a wonderful thing of course and as I ready myself for a flight back to Sydney in preparation for a 3-week speaking tour that starts the day after I get back, I'm still digesting the situation. 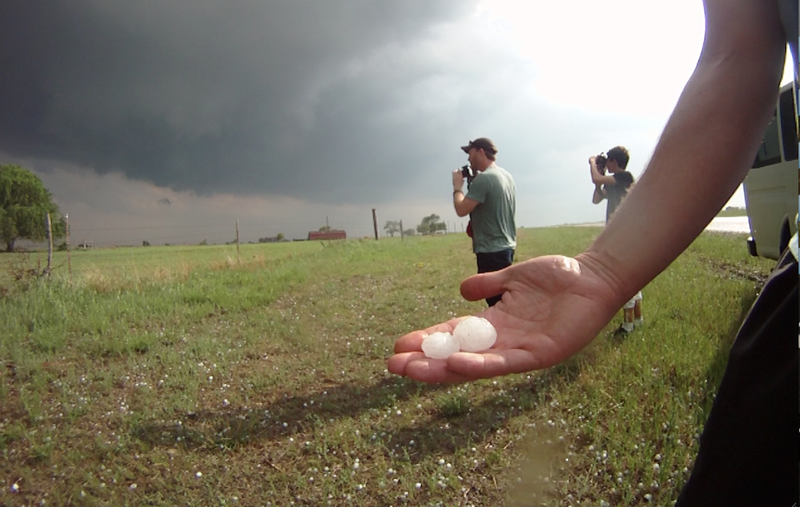 I suppose that the last 10 days of storm chasing is ultimately a small testament to life itself; decisions lead to outcomes and no matter what these are, it's the way we decipher and deal with these outcomes that lead to our ultimate experience and appreciation. No matter what or how we think though, gracefulness combined with perspective is key to appreciating these moments for what they truly are. I'm lucky to have met the people I did on my chase and for this i'm grateful. I'm happy to have seen the things I did under the caring eye of our chase-guide Bob and for this i'm appreciative. I'm sad we weren't able to help in Alabama and for this I'm sorry, but taking a step back from all of this for one second I'm glad in teh first instance to be able to experience the opportunity that is life and be in a position where I can feel the outcomes of decisions. This is the only important thing. Number 10- Chase a Tornado- COMPLETE.... but there'll be more chasing to come.